I’m writing this article in the summertime when the viewing is easy…because everywhere looks at its best when the sun is shining on it. I am helping a client who came to me because he had bought a property with what he thought was a valid Certificat d’Urbanisme, a condition of which was they could put a cable for electric underground through a neighbouring property, this certificate actually expired during the Compromis-Acte timeframe. When he applied for a new one, the power company now required an above-ground option on a longer run at considerable higher expense. 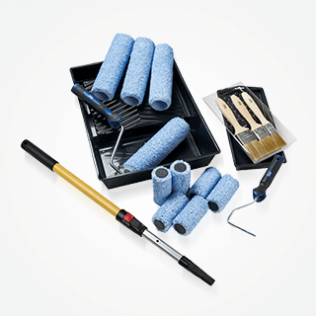 It made me think of how to help people be aware of what to look out for when buying a property to renovate. OK, so you have spent a vast amount of time online, scouring websites and contacting agents. You have done the homework, you know where, what you’re looking for, and what you want to pay (ish). The pictures and details have all been filed and you have made appointments to see the prospective purchase. So are you now at the stage where you want to buy that parcel of land, that barn for conversion, or that house to renovate? If the piece of land you are contemplating buying is a section of a parcel being divided make sure that there is a déclaration préalable in place for its lotissement. In other words it can be officially divided into smaller sections. It is also usual in the sale of former agricultural land for a request to be sent to S.A.F.E.R., which is the Societe d’Amenagement Foncier et d’Establissement Rural. This body is charged with the protection of agricultural land, and they will be asked if they or local members have any further use for the plot. The presence of a Certificat d’Urbanisme should also be checked. This document in its’ simplest form, i.e. “Informative” should give chapter and verse of what, if any, services are available to the plot. As well as what the size and how much of it can be built on. This is called the “Coefficient d’Occupation de Sols” (C.O.S.) and is usually expressed as a ratio. Thus a plot of 1500m² with a C.O.S. of 0,1 can have a build with an emprise de sol (footprint) of 150m². A more in depth C.U. or Operationnel can give the above information as well as inform what can be built on the plot. If building a house to live in, make sure the word Habitation is on there somewhere. If a plot is advertised as non-viabilisée this means that in effect there are no service provisions to it. You will have to make arrangements to get water and electric to the plot, as well as budget for your own waste water system or fosse autonome. A final word re Certificat d’Urbanisme. Their validity is time- limited from the date of delivery. It can be extended as long as nothing has changed regarding the classification, rules of urbanism or even tax regime for the plot in question. Make sure that the land you are buying has a valid certificate beyond the date of the sale. At that point it’s is transferred into your name at the Acte de Vente stage and all servitudes, implications, conditions and rights become yours. At this point it would be very wise to have, once again, a Certificat d’Urbanisme in place. I would strongly suggest this should be a C.U. Operationnel and should specify, without any confusion that the building can be converted into living space. Words like amenagement d’une batiment agricole en usage d’habitation should be on there somewhere, if the intention is to create a house. Any conversion project is, by its very nature, a change of a building from one use to another. All change of use are subject to a Permis de Construire. No exceptions, no special circumstances and definitely no “the Maire said it would be alright to start.” I am convinced that this conversation has happened, albeit rarely. I translate it as the “Maire said it would be all right to start the process”, meaning “get the paperwork in”, not “start knocking the building about”. Any of these options and everything in between can be found in various states of disrepair and condition. From the maison bourgeoise that needs a paint job and perhaps the outside render freshened up, to the longere requiring a complete re-wire, re-roof and all the sanitation (if there is any) needing a serious upgrade. The array and availability of the type of property is vast. It really is a case of paying your money and making your choice. The paperwork at the sale stage consists of the statutory checks and inspections that form part of the pre-sale report. Checking things like, presence of lead, asbestos, insect infestation and wood rot, these checks provide a snap shot of what the condition of the building is in. It is not a structural report, these do not exist, as part of a house sale, in France. You can have your own commissioned and this can be included as part of the sale as a clause suspensive if you want to make the sale conditional on a favourable report. 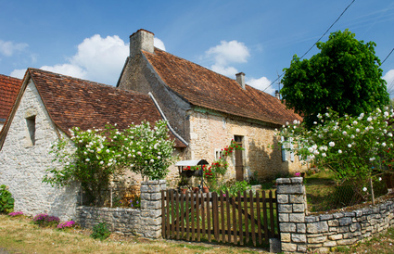 Other factors such as rights of way, servitudes, special conditions related to the property can also be checked at the Acte de Vente stage and should form part of the detailed understanding of what you are buying before you finally put pen to paper and hand over the cash. As if this was not enough paperwork. You may like to think of adding some of your own! Now is the time if you are thinking of making any structural or significant changes to the intended purchase; an attic conversion, an extension, a swimming pool, to add the condition that planning is agreed or obtained before a sale. This is common practice in France and would save a lot of headache if you knew before purchase that the idea you had for the 3 bedrooms all with en-suites in the attic of the longere your fancying is not only achievable in terms of space but also in terms of the authorities who control the planning rules. People buy property for a variety of reasons. These reasons are as individual as they are, and their choices just as varied. There is a commonality of system and procedure for all sales. An understanding of this to as high a degree as possible will, at best, make the process relatively easy. A blurred conception of what’s involved could lead to heartache, worry and no small financial cost. Do all you can to make sure you have a grasp and understanding of what’s involved. 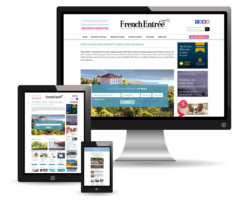 Use places like FrenchEntrée to glean as much information as you can, but above all else, if in doubt, ask! There is bound to be someone on forum or an article somewhere that covers the situation you find yourself. Some people will have already been there, done that and now be using the T-shirt as a duster. • Stephen Davies runs Renovate in France and works full time as a designer, planner, and project manager, on renovations and new builds.